Posted in Mysteries and Enigmas, Who are they? 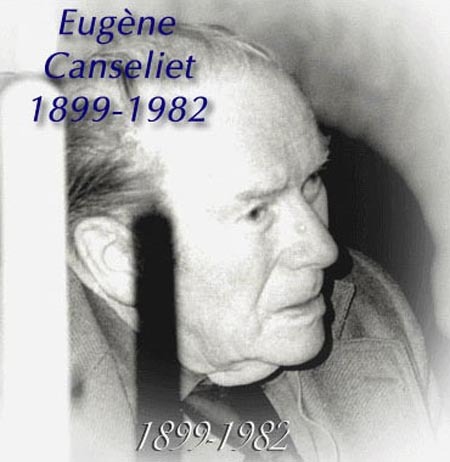 Eugène Canseliet 2 "The impostor" his real name was (Jean-Pierre Léonard) He was who claimed to be the true disciple of Fulcanelli, he and Patrick Kirkpatrick, deceived many people pretending to be the famous alchemists. They edited Fulcanelli's works in order to obtain economic revenue. PATRICK RIVIÈRE His real name was Patrick Kirkpatrick. He pretended to be Fulcanelli and he was interviewed by Jacquies Bergier, the famous coauthor of the book "The Morning of the Magicians." There is no doubt that the name Fulcanelli evokes mystery. The alchemists have been puzzled trying to discover who this person was. Even in the present century all the people have failed to discover the true identity of this remarkable character. Finally the true identity of this mysterious person was unveiled. Interlocutor: How are you Master? Interlocutor: Master, it’s the eternal story... What you say, we see it here permanently, in spite of the massive diffusion of the messages we spread through the Internet, there is very little response... Here I have scheduled some topics that I consider very important for us to elucidate. Can I begin with the questions or will you give some message first? I ask you just in case, I know that you are a specialist in getting to the point, as we commonly say. Ruanel: You have said it... Ask the questions and I’ll give the messages as soon as I respond them. Interlocutor: The first mystery is related to Fulcanelli who wrote two very famous books, “The mystery of the cathedrals” (Le Mystère des Cathédrales) and “Dwellings of the philosophers”(Les Demeures Philosophales). These manuscripts were handed over by this mysterious character to his disciple Eugene Canseliet. These two manuscripts were published and not the other book titled “Finis Gloriae Mundi” which was also given to Canseliet. Ruanel: The entity who called himself Fulcanelli in these moments is not incarnated. He is a being of Light of the plane 5, sublevel 7 who even had an enormous wisdom when he embodied in the XVI century. He had studied the power of thought a lot. His mental decoder worked 100% of its effectiveness. He could even make focus on some objects in order to influence them. I wouldn’t call this ability a power, but rather a gift. Fulcanelli had many gifts. He investigated about the extension of the human life making focus on his cells. Interlocutor: Did he have some knowledge about the genome? Ruanel: No, because in the sixteenth century that topic was ignored. But Fulcanelli did know that modifying some patterns of the physical organism, he could end up healing people’s illnesses. He managed to take care of sick people, obviously not allowing that this event transcended, and he ended up healing those who had physical problems with his mental gift. Interlocutor: And Did that have to do with Alchemy? Ruanel: The true Alchemy was distorted by legends coming from Britain. Ruanel: Because in Britain they spoke about the Philosopher’s Stone, about the transformation of lead into gold and all those things. Interlocutor: But was it a misrepresentation of the true Alchemy? Interlocutor: Can lead be transformed into gold? Interlocutor: And what was the reason? Ruanel: Because gold and lead have a very similar specific weight. Ruanel: Yes, it has been achieved! It has been achieved through radiation, but the process is so expensive that it doesn't have any economic profit. Centuries ago, speaking of transforming lead in gold, even having these two metals very similar atomic weight, it was something almost unthinkable. Interlocutor: And how did they know it? Ruanel: The alchemists were people with a tremendous intuition. In that time they didn't know the chemical knowledge that exists today, they didn’t know anything about the periodic chart of elements or all those things. But the true Alchemy, the Alchemy of Fulcanelli and others, it was not the transformation of metals into gold, but the spiritual transformation. This is the Alchemy of the wizards, of the true spiritual wizards, transforming the spirit of error into a Spirit of Light. Interlocutor: Is that what Jorge and I are doing, then? Ruanel: Yes, of course. The technique developed by Johnakan- and Jorge Olguin, called Psychointegration, is in fact the true Alchemy, the spiritual Alchemy. Psychointegration is the Alchemy of the XXI century, although Johnakan had already developed centuries ago. Ruanel: Not so much, because what Psychointegration is doing at this time is the alchemic transmutation: it transmutes the negative into positive. And this can only be achieved through detachment. 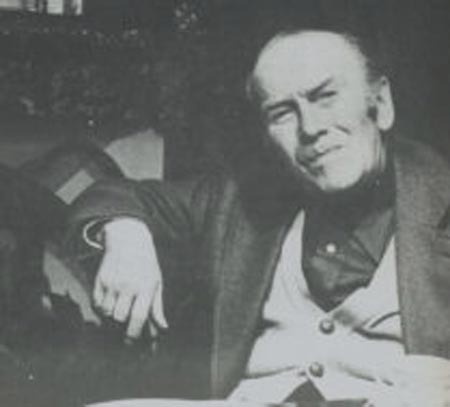 Ruanel: When I began gestating Dianetics in my decoder, what it does and continues doing, is to eradicate, and here I don't speak of integration, but directly of elimination of hypnotic orders or more technically called engrams, so that the person doesn't have that mental conditioning in his decoder, But its function is not to transmute but to extirpate. Do you understand what I mean? Interlocutor: I understand perfectly. Dianetics removes the pain contained in the engram and then the incident automatically goes from the reactive mind to the bank of the analytic mind as an experience, but the memory is no longer aberrative. Ruanel: Exactly. Alchemy, on the other hand, transforms. If I had to call Alchemy with a more appropriate name for the XXI Century, I would call it Psychointegration. Ruanel: No, he was not Canseliet, since this one was his disciple. There were many people who were Spirits of Light who accompanied and also collaborated with Fulcanelli, in that life and in other previous lives. Interlocutor: But who was hidden behind the name of Fulcanelli? Ruanel: He was an incarnated being who was only seeking to transmute the souls. Interlocutor: Well, but he must have had some name... Can’t we know who he was for the moment? Ruanel: You can discard all those hypotheses. Ruanel: The original manuscripts got lost. Interlocutor: But if I remember reading in my youth “The mystery of the cathedrals”! Ruanel: They are apocryphal writings. In that time the paper was not of good quality and the pages became yellowish. Besides, there were no means to conserve them as you have now. Several authors, who studied the originals and copied them later on, distorted them in the way they like it throughout time. Ruanel: They simply threw them away. Interlocutor: But isn’t there anything written by Fulcanelli? Ruanel: The little that has arrived until your time was distorted due to interpolations. Interlocutor: It seems that history always repeats itself... Was Fulcanelli somebody very famous or he was unknown during his time? Ruanel: He was a very well-known character, but he preferred to keep his anonymity because in that time Alchemy was considered verbosity. Fulcanelli needed to preserve his prestige due to the highest function he had and if he had given to know his studies, he would have earned surely many enemies and his mission would have been hindered or been impossible. Interlocutor: Master, Could you give us an indication, so that those who are searching the truth can discover who Fulcanelli was? Ruanel: Behind the name Fulcanelli was hidden the most outstanding personality in the XVI century, and his name even appears among the 100 more important characters of the second millennium. One of his sentences passed to history: "Paris is well worth a mass. "( Paris vaut bien une messe) He died murdered by a Catholic fanatic at the end of the first decade of the XVII century. Ruanel: That’s right, those are words referred exactly to his tragic death. Interlocutor: To conclude with this topic, what is the reason that it has become so much mystery on Alchemy, when in fact it’s definitely nothing more than the quest of a spiritual transformation? Ruanel: Because, as I already said, in the Kingdom of Britain, during that time, in order to protect those great wise men, because there were many more, they distorted the whole story, and even the writers have corrected some manuscripts saying that Alchemy was the transmutation of the elements because that was more attractive. Who would be interested in the transformation of the soul in than time? Obviously nobody would be interested, or perhaps very few people. Many people were interested in transforming metals into gold though. Interlocutor: Do the cathedrals have in fact something hermetic? I refer to Fulcanelli’s book "The mystery of the cathedrals." Ruanel: There are some cathedrals that, in a certain moment were inhabited by monks. These buildings had hidden sliding doors that opened to secret passageways, which in turn led to rooms where they kept valuable documents and books. Interlocutor: There is a movie that showed exactly something like that. I refer to the film “The name of the Rose” with the famous actor Sean Connery, who played the role of a monk who was investigating documents hidden in secret passageways. I remember this film very well. Ruanel: During that time it was commonplace to have hidden rooms because they were always at war, and that was the only way to protect the most valuable possessions. Interlocutor: But, Concretely, does the structure of the cathedrals have some power? I mean if the design has some mystery. Ruanel: In that time they didn't have the necessary knowledge to make something like that. What happens is that Fulcanelli was also a brilliant architect and he designed two or three chambers in some cathedrals with similar powers to the Pyramids of Egypt in order to attract energy from the space. Interlocutor: Weren’t the Pyramids of Egypt huge teleporting machines? Ruanel: Correct, but they were also energy channels. I’m not speaking of the same thing, but rather I want to mean that the chambers built by Fulcanelli had special characteristics, and these special characteristics were in fact what gave place to the mystery of the cathedrals. Interlocutor: Then, the mystery of the cathedrals had nothing to do with the external structures? Ruanel: No, nothing at all. Interlocutor: Well, I believe that for the time being, we can leave this topic here. Ruanel: I leave all my Light to you. Ruanel: Here I am again with you. I’m Ruanel. Interlocutor: Hello, Master, I needed you more than ever. Will you give some message before we go directly to the questions? Ruanel: No, as I always do, I’ll give the messages on the march. Interlocutor: Well. My first question is related to the name of Fulcanelli, since in the last session this issue was left pending. Ruanel: This entity was favored by the Energies Lipikas and he had a contact with the Akashic Records and then his reincarnative memory worked in a very high percentage. Interlocutor: Didn’t he have his reincarnative memory deleted? Ruanel: Correct. He used the same alias as the previous reincarnation he had. Interlocutor: That is to say, in a previous life Fulcanelli, the alchemist, was also called Fulcanelli? Interlocutor: Which time are we talking about? I mean to the alchemist. Ruanel: 1500 to 1600. He was a king. Interlocutor: A king? Who was he? Ruanel: He was a king of that time. This king hid his identity under the name of Fulcanelli because he didn't want that the people around him know that precisely the king was involved in this kind of investigations, because in that time they were seen badly. Interlocutor: But how did he call himself? Ruanel: Check it out, he was the King of France during the last decade of the XVI Century. Interlocutor: I was waiting for you with some anxiety, because the subject on which I have to ask you is important. I confess that despite all my efforts I couldn’t solve the puzzle... Surely you have read my mind already and you know what I’m talking about... All the texts I found on the Internet place Fulcanelli and his disciple E. Canseliet in the Twentieth Century. Even the first French edition of The Mystery of the cathedrals has the preface written by Eugène Canseliet, in 1925. Ruanel: Sometimes the simplest things are camouflaged making them complicated. And the embodied man, for that blessed mental decoder that he has, distorts things so that he doesn’t see the obvious things. Interlocutor: Are you referring to Fulcanelli’s case, right? Ruanel: Yes. And I confirm it, but you already know that the date given about Fulcanelli is correct. Interlocutor: With that date I found the king of France, Henry IV, until he was assassinated by a Catholic fanatic on May 14, 1610. Ruanel: The embodied beings have a biological barrier that prevents them from living more than a certain age. Don’t believe, therefore, in the silly mythologies of the Bible, which states that one could live up to 900 years old. Unfortunately, ignorant people still continue to take the biblical texts to the letter. Interlocutor: But what has happened really? Ruanel: It happened one thing very obvious. There is one incarnated person ─ you will search for this person, if he appears ─ called Patrick Kirkpatrick, who adopted the name Fulcanelli as his own, because he admired the pseudonym of Fulcanelli. Then, this Fulcanelli of the nineteenth and twentieth century, supposedly met the writer Jacques Bergier, but this person was not the real Fulcanelli. Interlocutor: But then he was an impostor acting as Fulcanelli? Interlocutor: And Eugene Canseliet, whose biography says that he was born in 1899? Ruanel: This is another similar fraud. A person named Jean-Pierre Léonard, of French origin, not from the continent, but from an island, adopted the pseudonym Canseliet and helped in many investigations to the Fulcanelli 2- That is ‘Patrick Kirkpatrick’. Interlocutor: Do you mean that there is a Canseliet 2 and a Fulcanelli 2, who are impostors? Ruanel: Yes. They Joined to profit at the expense of Fulcanelli. I wouldn’t say directly that they are a fraud because they seriously investigated the issue of the cathedrals, although they had a commercial interest. Interlocutor: At this moment, with what you're saying, I have a doubt, whether the preface that appears in The Mystery of the Cathedrals belongs to the true Canseliet. I ask it because the text is perfectly consistent with what happened to Fulcanelli. I mean, among other things, to his unforeseen assassination. Was this preface written by the true Canseliet? Ruanel: Yes, it was written by the true Canseliet. But later on, in early twentieth century, when editing the books on paper, the person who signed as Canseliet was Jean-Pierre Léonard ‘the Canseliet 2’ the impostor. Interlocutor: But how could such thing happen? Ruanel: The owners of the publishing company, who do not even know the members of their own biological family, even less will they investigate the perpetrators. Furthermore, they were not well-known public figures, like Pasteur, in which case they would have make sure of his true identity. Interlocutor: I understand perfectly what you say... Now, the first edition signed by Fulcanelli 2 and prefaced by Canseliet 2 was the first edition of the work of Fulcanelli? Ruanel: It was the first edition printed massively. Obviously there were rudimentary copies of the book from the time of the real Fulcanelli and Canseliet. These writings have been kept. There was little movement, as it happened in that time. But it was a logical thing because we are talking about many centuries after the invention of the printing press. Interlocutor: Do you know the date of Canseliet’s birth? Ruanel: About fourteen years after the birth of Fulcanelli, and due to a paradoxical issue, which has nothing to do with causality, he died fourteen years after his master was killed. Interlocutor: So, both, Fulcanelli and his disciple, had the same age when they died? Ruanel: The picture is fake and the date as well. It was forged by Jean Pierre Léonard. Interlocutor: One can hardly believe it... When the real Fulcanelli gave to his disciple Canseliet his manuscripts? Interlocutor: Do you mean in 1596? Interlocutor: By the calculations that I'm doing now, I can say that Canseliet was 29 years old when Fulcanelli gave to him his manuscripts. Is that right? Interlocutor: Will I be able to prove conclusively all this data or will it be another theory? Ruanel: Unfortunately there is very little information. Interlocutor: I wonder if there is a true biography of Canseliet... Because if I could find something like that, then the fraud would be evident. Ruanel: It is very difficult to find something. Interlocutor: I'll see what I can find... Does the infamous co-author of The Morning of the Magicians, Jacques Bergier, was really deceived by the false Fulcanelli, I mean by Patrick Kirkpatrick? Ruanel: Yes, he was duped. Interlocutor: Were the False Fulcanelli and Canseliet, alchemists? Interlocutor: But didn’t that operate cumulatively swallowed and eventually the body would be poisoned? Ruanel: Yes, in the end it could do the same effect of arsenic poisoning! Interlocutor: Did Fulcanelli also ingest these substances? Interlocutor: Obviously nobody achieved anything... Is that so? Ruanel: Of course... But they did believe in good faith that it could give some good results. In the nineteenth and twentieth centuries, when people speak about Alchemy, they still continue to believe that it is about the transformation of metals into gold, or in the quest of the Philosopher's Stone, which does not exist. However, Fulcanelli 2 and Canseliet 2, I mean the False Fulcanelli and Canseliet, knew the truth. And there is the fraud on behalf of them, because they kept writing books on this topic for nothing more than commercial interests. There was a total bad attitude on behalf of them. Interlocutor: Concretely, the ancient alchemists were sincere in the quest because they believed in good faith in the possibility of transmuting metals into gold, and the false Fulcanelli and Canseliet did not act in good faith because they knew that indeed; the only thing they wanted was commercial revenue through deception. Even today, but that is another issue, there are schools where they work with metals and salts to swallow. The preparations, which consist in placing the metals in distilled water for 24 hours, then they sell them, like they sell Bach Flower remedies, in the belief that these metals will then transmute. Sometimes crystals of amethyst and citrine quartz are put in water in a glass, and then people drink it. Ruanel: Sure! But all of this was promoted due to the bad faith of the false Canseliet and the false Fulcanelli. All these schools were programmed in the present the early twentieth century. This means that there is now a large legacy, negative of course, due to those false alchemists. Interlocutor: Beyond the effects that the alchemists were looking for by ingesting metals, there is another thing you said in the last session: The true alchemists, like Fulcanelli, were looking for the elevation of the spirit from the planes of error to the planes of Light. At present, We know how to do it through the integration of the ego, the Service, etc... But the question is: How did they seek that elevation? Ruanel: They erroneously sought it through the methods already mentioned, with which it was impossible any spiritual elevation. The only way to rise spiritually in those times was being a mystical person, like my brother Johnakan was, who embodied as John of the Cross, who achieved to discover the nothingness, the Total emptiness, and who had contact with the Absolute. Interlocutor: In short, Fulcanelli, as a Spirit of Light, was in the plane 5 sublevel 7, when he disembodied he did not rise at all... Is that so? Ruanel: Fulcanelli’s mistake, so-to-speak, was that he thought that by ingesting metals in small amounts, he could ascend the physical body and consequently also spiritually. Interlocutor: Well, Master, I think that for the time being this issue would be closed. 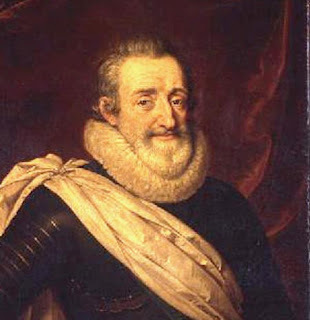 The Master Ruanel was referring to Henry IV of France, born in 1553. His reign lasted from 1589 until he was assassinated by a Catholic fanatic named François Ravaillac on May 14, 1610. This entry was posted at Monday, May 28, 2012 and is filed under Mysteries and Enigmas, Who are they? . You can follow any responses to this entry through the .